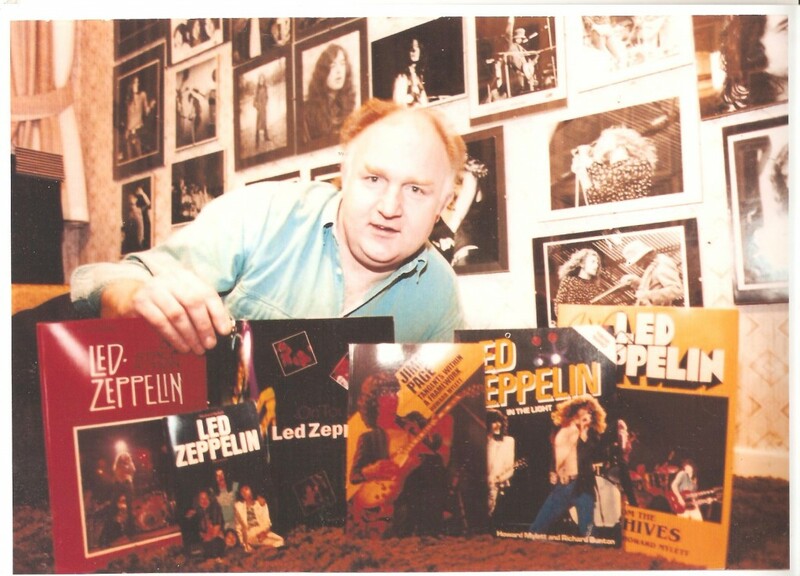 Two years ago on June 19th 2011, Howard Mylett, the legendary Led Zeppelin collector and original author sadly passed way. When I think of Howard, I think of that wry wit, his incredible enthusiasm for collecting all things Zep, and above all, his generosity in sharing that passion and those packages postmarked Brighton that so fuelled my own enthused for our shared love of this band, some 40 years ago. For it was back in 1973 when I first began corresponding with Howard after seeing a ‘’Zep Photos wanted/for sale’’ ad in the NME. My collection of photos and cuttings improved manifold thanks to Howard’s generosity. For a mere few pence he would send me batches of cuttings. I can still recall the thrill of seeing a package postmarked from Brighton landing on my doormat. 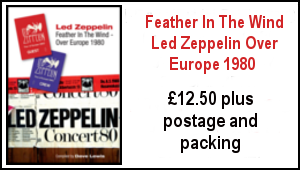 I knew it would bring forth more unseen Zep images and foreign and overseas cuttings from the likes of the US Circus and Creem magazines and French magazines such as Rock And Folk. Howard also had unimpeachable Japanese contacts and it was through him that I first obtained the series of rare Japanese photo books. Howard’s enthusiasm was infectious. 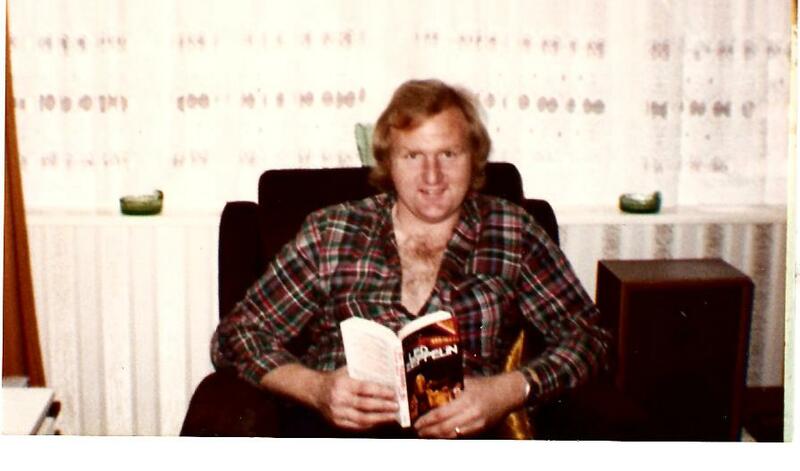 He was a massive influence on my desire to put words into print about Led Zeppelin. Since his passing, it has become even more evident how important Howard’s pioneering work was to me as a young impressionable fan. There were several moments during last year’s 68 days of Celebration Day mania, when I so wished Howard was still around to share it all…he would have loved all that.. I decided to go see the band on the Over Europe 1980 tour because the previous occasion I had tried to do that ended in disaster. In early 1975 I had planned to see the warm up show they were performing in Rotterdam. Unfortunately, when I got there my wallet was stolen and I had to come back having not seen the gig. So, I decided if they played in Europe again I would do everything I could to get there. The Brussels gig seemed the easiest to get to and we flew over. I also attended the Zurich gig – I had an old school friend who lived in Berne. So, my wife Anita and I stayed there for two days. The thing I remember about the performances most is the whole speeded up nature of the set and their playing. The atmosphere at the shows was really good. For me, the highlight of the shows was the opening track, Train Kept A Rollin’. I felt that was their best set opener since Immigrant Song – it was so powerful. The last time I had seen them at Knebworth was not that great for me personally. It was such a massive show and I had a really poor view. The friend I was with taped it and all we could hear when we played it back back was the crushing of beer cans and people shouting ‘Sit down!’ – all the usual jeers of a festival crowd. I think that’s another reason I wanted to make the effort to go to Europe, as the view and seating were going to be so much better than at a big open air show. I felt the whole band on those shows were so full of life and for me there seemed to be a whole resurgence of energy, especially the urgency and speed of the show. It seemed to me they had experienced a recharge of the batteries. I was totally shocked when John Bonham died a few months later. 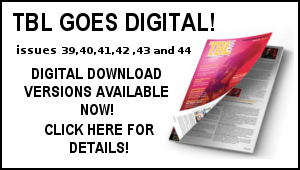 I actually did think they may have continued – someone like Carmine Appice as a replacement did have some credence but as time went by all these other drummers names were being mentioned, such as Aynsley Dunbar. It became a non starter. 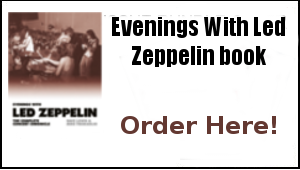 I did sob my heart out when I realised it was at an end, as I had devoted eleven years of my life to the band – Led Zeppelin provided the soundtrack to my life. 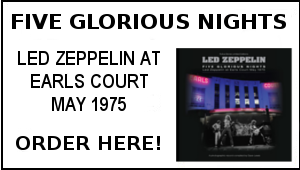 Earls Court were the best shows, as far as seeing them at their peak goes, but looking back, there was a real spark about watching them in Europe in 1980. I felt they could have gone on to America and even greater success. The power was still evident in everything they did. 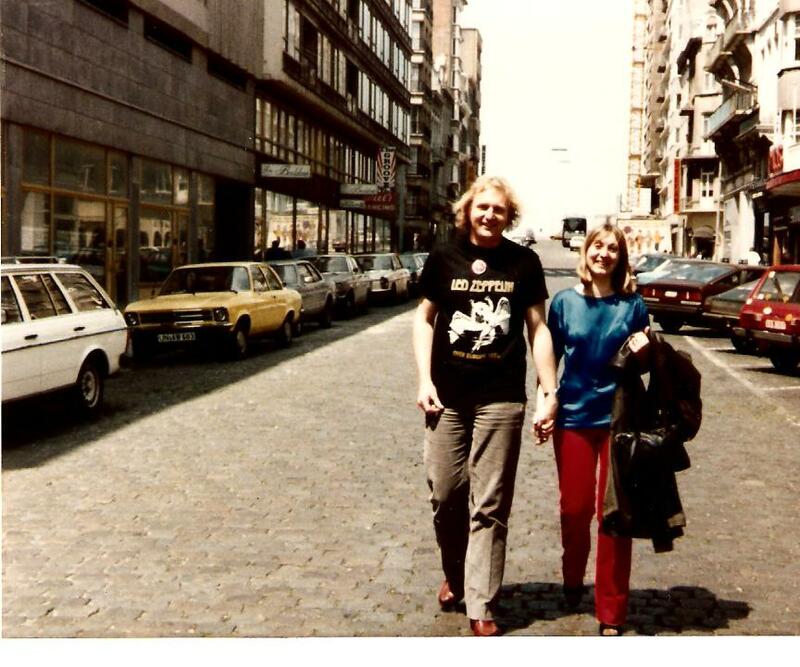 Above -Howard wth his wife Anita in Brussels for the Led Zeppelin performance on June 20th 1980. I also remember the post landing on the door mat and running down to collect the brown parcels and then opening them in the comfort of my bedroom. Cuttings from US and French magazines were swiftly added to my growing Led Zeppelin scrap books. Howard once sent me the Japanese edition of his book autographed on the inside, it had the most amazing colour pictures inside. He did me the honour of quoting me in the reprint of his book re-printed after Bonzo had passed away. As you say Dave he will never be forgotten and always will be identified with the band. Nice words Dave. Howard was a good friend to me and was always very generous in sharing tapes with me which started my own love of Zepp live recordings. I was always made welcome when I visited him at his home with Anita. I like to think that I helped him attend some of the TBL conventions from the 90,s onwards usually as a bag carrier for his enormous collection of Zepp related goodies. Sadly missed. I have each and every one of those books. “Archives” and Tangents” being signed copies. I can’t believe it’s been two years. Thank you Howard. Thank you.